Use syringes more than once. This is perfectly safe as long as you take precautions to maintain sterility, such as replacing the plastic cap that fits over the needle. Compare prices on brands of insulin. There may be a signifi­cant difference in price but no difference in quality. When taking oral hypoglycemic agents, ask your physician to prescribe a generic drug if there is one. Buy a glucose monitor, lancets, and test strips that offer a re­bate. Shop around until you find one. Take care of all your equipment so that it will last as long as possible. When grocery shopping, stay away from prepared food and junk food. These are the most expensive items in the supermar­ket and are almost always lacking in the nutrition you need. Diabetes is an expensive disease, even without complications, and if you are poor, you might be tempted to cut corners on blood glucose testing and medications. Don’t. There are too many ave­nues of help for you to have to resort to jeopardizing your health. 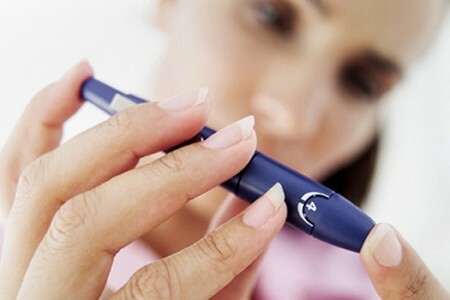 There are a number of government, nonprofit, and voluntary clinics and other organizations, many of which are supported in whole or in part by pharmaceutical companies, that provide free or low-cost care for diabetics. It takes some time and effort to find them, but a few hours on the telephone should net you good re­sults. It’s difficult, but have a frank discussion about money with your primary care physician. Some physicians will provide free samples of insulin or oral hypoglycemics. If your doctor doesn’t volunteer, contact the pharmaceutical company yourself. They all have toll-free phone numbers for their customer relations depart­ment, and many will provide free drugs—at least for a while. Next, try the federal government. If you are over sixty-five, you are on Medicare, which is now much more liberal about pay­ing for diabetic supplies. If you are under sixty-five and have been disabled for at least twenty-four months by a complication of dia­betes, you also may qualify for Medicare. If you have permanent kidney failure, you automatically qualify. Call and ask. If you are a Medicare beneficiary and are having a hard time paying for your supplementary insurance (sometimes known as a Medigap policy), which pays for deductibles and copayments, the federal government can help. The new Qualified Medicare Benefi­ciary (QMB) program requires that state Medicaid pay Medicare costs for certain elderly and disabled people with low incomes and limited resources. If you qualify, Medicaid will pay all Medi­care deductibles and copayments, as well as reimburse you for the monthly Medicare premium that Social Security deducts from your check each month. If this sounds confusing, it is a little. For more information, write to Consumer Information Center, Depart­ment 87, Pueblo CO 81009 and ask for a free copy of “Medicare: Savings for Qualified Beneficiaries.” If you think you qualify for QMB, apply at your state or local Medicaid, welfare, social service, or public health office. Call your state or county welfare office and find out if you are eligible for Medicaid and/or food stamps. In most states, if you earn more than $200 or $300 a month, you don’t qualify, but it’s worth a phone call. If you receive Aid to Families with De­pendent Children (AFDC), Old Age Assistance (OAA), Aid to the Blind, Aid to the Permanently and Totally Disabled, or Supple­mental Security Income (SSI), or if you are a nursing home resi­dent, you will probably qualify for Medicaid. Women, Infants, and Children (WIC) is a federal food grant program that provides food subsidies and nutrition counseling for pregnant women and high-risk children up to age five. Your local health department will have information on how to apply. The Veterans Administration, which operates the largest health care system in the United States, serves veterans in two ma­jor categories: those who have service-related health problems and those who are indigent. You may qualify in the latter category. Call or visit your local VA office to find out. Food stamps. Qualifications for food stamps are much less strict than for other aid programs. If you are poor and can prove it, you will probably get them. Call the local welfare office and find out how you need to document your indigence. Nutrition advice. Most local and county health departments have nutritionists on staff at least part time. The service is free. Shelters and soup kitchens. Many churches, synagogues, and other community groups provide free and nutritious meals. Don’t let pride stand in your way of a good meal. When you are back on your financial feet, you can repay the debt by vol­unteering where you were fed. A variety of nonprofit organizations provide financial assis­tance to diabetics: the American Academy of Ophthalmology (800-222-EYES), the Benevolent and Protective Order of the Elks, Lions Club International, and others. The ADA Informa­tion and Action Line (800-DIABETES) can refer you to other sources of financial assistance.